Here we are in August, and the digital download version of Ghost Notes the Audio Book is nowhere to be found! Rest assured I'm working on it. You can always order a burned copy here. Do you want to know my least favorite thing about reading contemporary novels? My least favorite thing in the whole world is getting past chapter one, or page fifty, or somewhere in the middle, and feeling the quality of the prose take a nosedive. I started a novel a couple of weeks ago and was blown away immediately. The author--a famous guy you've probably heard of if you follow these kinds of things--was clearly playing in a league of his own. The prose sparkled. It was funny, insightful, intriguing, the product of a great craftsperson. "Awesome," I thought. "A new writer to love." Then, at around page 40, the prose took an abrupt turn down Mediocrity Street. All of a sudden, the characters weren't fully developed, the language was less-than-sparkling, the plot felt like the author was connecting dots as opposed to writing a novel. Hey, I know how it is, man. The temptation to want--to need--the thing to be finished gets overwhelming. You get the first fifty pages polished, and all of a sudden you run out of time, patience or creative energy and decide the damn thing is done and send it off. And the industry--agents, editors, etc.--might prefer a completely polished manuscript, but in my experience as a reader they clearly aren't committed to it. To keep me reading, your novel need not be perfect--I've read plenty of less-than-perfect novels and haven't hated it--but there needs to be a sustained quality to the prose from Page One to The End. I need to feel like you care on page 100, 200, 300, etc. Hell, you're the writer. If you don't care, why should I? I won't mention the title of the book that so recently took a turn for the ol' crapper--mostly because it would shift the focus of my blog to this book, which is totally unfair because I've experienced this nosedive many times when reading contemporary work--but this author can bet I won't be buying his next. Not that he'll lose any sleep over it. 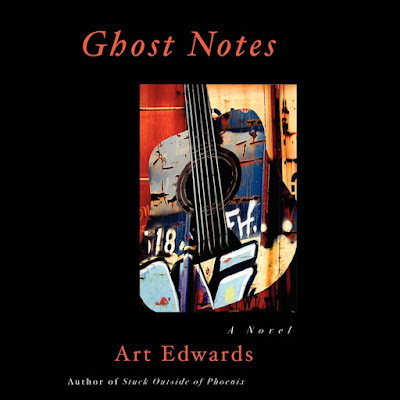 Ghost Notes the Audio Book is now available! You can order it here. 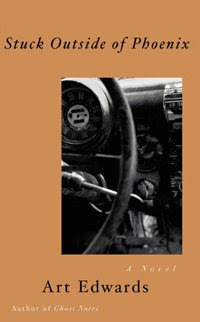 "The personal and professional world of Josh Hotle is dense, detailed and believable, without overwhelming the reader and bogging the narrative down in unnecessary verbiage. Each chapter or character sketch is a complete short story in itself; it shouldn’t come as a surprise that the author is also a musician and songwriter, expert in using just the precise word and phrase and not a syllable more." I have at least one more review of Ghost Notes coming down the pipe, and potentially as many as four, including possible audio book reviews. Funny, but before the audio book came out I received exactly zero review requests for Ghost Notes. If you self-publish, do yourself a favor and distinguish your project by publishing in some secondary or alternative media too. We work so hard on the novels themselves--and that should be enough--but the reality on the ground is there are more and more people trying to get the attention of fewer and fewer readers (Come on, Harry Potter generation!) There were about 280,000 print-on-demand books published in 2008, the large majority of them from self-published authors, and almost as many traditionally published books. Anything you can do to set yourself apart, do it. One of the only benefits to self-publishing is that the author owns all of the rights (like audio book rights) to his work. In other words, you don't have to ask anyone's permission to do anything. That is your advantage, and you have to work with the advantages you're given because there aren't a ton of them. By next week, Ghost Notes the Audio Book should be available as a digital download. Let's keep our fingers crossed. So, my laptop went down on me last week. No warning. It just froze up, the little arrow refusing to move on my screen. I took it to the Mac Doctor, who said, "For $355 we can send it away to Mac, and they'll replace whatever's wrong." This was a week ago, and while deciding what to do I've been making due with my Crackberry, my wife's clunky old iMac desktop, and going without. Not having your main computer is kind of a revealing experience. At first, I was bummed, frustrated. I couldn't do just what I wanted when I wanted to do it. I had to fight my way through a little faux anxiety. "What's my Facebook status? And I can't remember what my Twitter page says?" There were work-related things I couldn't allow to slip through the cracks--like my current work-in-progress, and an incoming email from an editor--but after a few times of losing important work to computer gremlins I've become hyper-vigilant with archiving, and the Crackberry made sure I didn't miss any important emails. I was covered. By mid-week, I found myself hardly missing the computer. I had other, non-computer business to attend to, and it was nice to have the time to focus on it. Then, a couple of days ago, I caught myself doing something amazing. It was eight in the morning on a work day. I'd just finished exercising and was waiting my turn at the shower. Not wanting to get on anything but my own computer, I picked up a novel from the stack that sits in my office, books I'd bought but hadn't yet read. I read a few pages of it before it hit me. I'm standing in my office reading a novel at eight o'clock in the morning, and I'm enjoying it. I realized that so much of my leisure time had been eaten away by the computer. Many of those little corners of my life when I might do something like read a novel had disappeared. The computer is a great tool, but it's also pretty insidious. I have no doubt we'll be reading about computer addiction in the news for the rest of our lives. Of course, I need a computer--much of the work I do on it really matters--but much of it really doesn't. Like any technology, the key is not to allow the bad in with the good. Just because you own a car doesn't mean you have to take it to the corner grocery store. I'm getting a new computer today. The Mac Store will be a thousand bucks richer, and I a thousand lighter, but I have to wonder if I'm fooling myself. What if I didn't buy a computer? Would I still find a way to do the things that are important to me? Would I write my novel? Would I get my freelance work done? Would I keep in touch with friends family? I guess I'll never know. It's so funny how we hear rules sometimes and assume, for one reason or another, that they don't apply to us. You must start your book in the middle of the action. You can't expect any patience from the reader in this regard. Get to the action on page one, in paragraph one, on line one. If you don't, you won't have a reader for page two. I always thought, "What great advice. Yes, I will most certainly follow this simple rule." Philip Roth says he writes 100 pages of a novel before writing the first sentence. 100 pages. That's damn near a novel right there. With Badge, or Good Night to the Rock 'n' Roll Era, the action gets going much sooner than page 101, but it doesn't get going until about page four. As weird as it sounds, that's too late for the contemporary reader. So, guess what just happened to pages 1-3. This breaks your heart as a novelist--you work as hard on the first few pages as you do on anything in the book--but still, it must, must, must happen. No agent gets to start my novel and say, "Good novel. Too bad he didn't get it started soon enough. Pass." It's amazing how long it takes to learn this craft. About as long as it takes to learn to listen. That's a long time for me. As you might imagine, I spend a lot of time thinking about the publishing industry. It's undergoing change, just like every form of business--certainly every form of the entertainment business. Music, movies, books, TV--as disparate as they seem at times--they're all just forms of entertainment, ways for people to while away a little time. I'm in the final stages of writing my third novel, Badge, or Good Night to the Rock 'n' Roll Era, and it's better than anything I've written. It's longer than anything I've written. It's deeper than anything I've written. It's the novel that I couldn't even imagine writing 12 years ago when I started seriously pursuing the novel form. That's what working on your craft for a decade or so gets you: somewhere you wouldn't have been able to imagine getting to otherwise. Naturally, I'm excited to get the show on the road, to get this thing out to agents and editors as soon as possible. After all, my previous attempts at getting published haven't gone so well. This novel feels special, like it might be the one that will push me over the edge and into the traditional publishing realm. But I'm reminded of what happened with my first two novels. With similar excitement, I got my queries together and got the novels out there for the industry to see. This process involves a great deal of waiting, so while I waited to hear from prospective agents I edited the manuscript again. Annoyingly, in both cases, I found elements of the novel that really needed changing--which meant agents and editors were seeing a less-than-perfect version of my work. And neither novel got published traditionally. Couple this with an industry that seems to be in complete flux, and an industry that seems to accept less and less non-genre fiction all the time, and putting a less-than-perfect version of this thing in an agent's hands doesn't strike me as the wisest move I would ever make. These people are inundated with queries from people who want what I want, and they're looking for any excuse to say no. I can't afford to hand them one on a silver platter. Ergo, I think I'm going to wait. The current draft of Badge, or Good Night to the Rock 'n' Roll Era will be finished in September. At that point, I think I'm going to put the thing away for a month or two, do what I can to forget it exists, get away, do some traveling, move on to some other projects. Then, in December maybe, I'll give the whole thing one last read and see what pops out. If it's anything like my last two, there will be something--and I'm not talking a word here or there, something substantial, like the ending--that I would want to alter before anyone sees it. There's nothing like a little break to make you see a thing more clearly.